Tag Archive | "City Clerk"
Have you ever been frustrated by not being able to get to Cedar Springs City Hall during their regular working hours? The City hopes a change in hours will help people make that stop a little easier. Currently they are open Monday through Friday, from 9 a.m. to 5 p.m. But starting July 10, they will be open Monday through Thursday, from 7:30 a.m. to 5:30 p.m. According to City Clerk Rebecca Newland, staff noticed that many customers are unable to come in to City Hall before or after work with their current hours. “We often have community members at the doors waiting for City Hall to open and running in just before close,” she explained. “It is our hope that new extended hours will give individuals the opportunity to be served before or after work.” She also said that very few people go into the office on Fridays. The utility bill due date policy will stay the same. “Currently if the 7th falls on a Saturday or Sunday, residents have until 5 p.m. the following Monday to pay with no penalty. Beginning July 10, If the 7th falls on a Friday, Saturday, or Sunday, the community will have until 5:30 p.m. the following Monday to pay with no penalty,” explained Newland. She said the City would try out this schedule over the next few months and make adjustments as needed. change in business hours will be reevaluated in October of 2017. It took nine months, but the City of Cedar Springs finally has a new full time City Manager overseeing operations at City Hall. 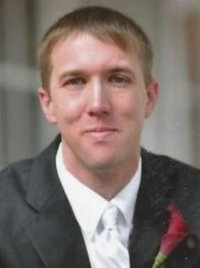 Mike Womack, 34, started in his new position August 1. He filled the spot vacated by Thad Taylor, who left the post for a position in Manistee. Womack was an executive intern for the Village of Lake Orion, Michigan, which is located on the east side of the state. 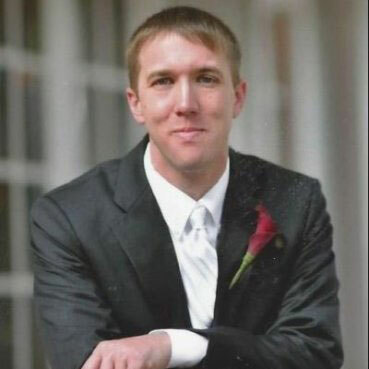 He was also a Graduate Assistant in the City Manager’s office in the City of Eastpointe, Michigan, and an Attorney at Womack & Womack P.C., in Shelby Township. Longtime City Clerk Linda Christiansen (formerly Branyan) was interim City Manager until June, when the City Council appointed former Wyoming City Manager Barb VanDuren to be interim City Manager. Christiansen gave her notice at the same meeting at which VanDuren was appointed, and retired July 1 after 22 years. She was replaced in the interim by Christine Witt, and then permanently by Rebecca Newland. Treasurer Deb Brunett left for another position and was replaced by Darla Falcon. The city is also currently looking for a deputy treasurer. In other city news, the city now owns all of the land in the Heart of Cedar Springs project after it was officially donated to them by the Community Building Development Team and CS Manufacturing. Over the past three years, the CBDT, comprised of two dozen organizations and businesses in Cedar Springs, along with dozens of individual volunteers, has acquired six parcels equaling approximately 7.5 acres of land through a donation from CS Manufacturing, and from land that was bought at a substantially reduced price from Rob and Jodi Coxon. The donated land connects to the City-owned property on the northwest corner of Maple and Main Streets where the library is being constructed. For many years the plan has included a boardwalk/walking trail along Cedar Creek and bridges over the creek. Other features of the Recreation Plan include an amphitheater, which is the CBDT’s next project, as well as a Community Center and Recreation Facility. Donating the land to the City not only benefits the community, but it also opens many new avenues for grant-funded projects. “The City is grateful for all the hard work already put in by the CBDT on the Heart of Cedar Springs project and we look forward to working together to make downtown a better experience for everyone,” commented City Manager MikeWomack. The CBDT has met monthly over the last three years and continues to meet on the 3rd Tuesday of each month (except December) in the board room of Hilltop School at 6 p.m.
As of August 1, the residents in Cedar Springs will have a new City Manager. That’s the day that Michael Womack officially begins his new job in Cedar Springs. The City Council approved his contract at their regular meeting Thursday, July 14. Womack was on hand to take the oath of office. Womack has been serving as an Executive Intern, for the Village of Lake Orion, Michigan, which is located on the east side of the state. He is also currently a Graduate Assistant, in the City Manager’s office in the City of Eastpointe, Michigan; and an Attorney at Womack & Womack P.C., in Shelby Township. The contract calls for a salary of $72,000, with a 2 percent increase annually at the anniversary of his start date; five days vacation to start; insurance; and other benefits. The entire contract can be found in the agenda on the city’s website at cityofcedarsprings.org. The City also approved the contract for interim City Clerk Christine Witt. She started Monday July 17. She will work part time until the City Manager can hire a new, full time clerk. She will be paid $16.00 per hour for up to 25 hours of work. The City also approved the contract for property assessing services with Grand Rapids Township. The township will provide property assessing services to Cedar Springs for approximately $24,600, which is about the same as was budgeted for the prior assessor, Jason Rosenzweig. The City Council fired Rosenzweig after a vote of no confidence resulting from a dispute over whether the City should pay taxes on their own property. Bryan Jager and Robin Rothley will do the work, while Jager will be signing the assessment role on behalf of the city. There have been no conversations yet on whether Jager feels the city should be taxed on its own property. The Council also approved an amendment to current interim City Manager Barbara VanDuren’s contract. She was originally scheduled to stay until August 31, but since Womack starts August 1, her contract will be revised to that date. But it also states she may continue her assignment here to assist in the transition if that’s acceptable to both parties. Each of the contracts voted on at the meeting were approved unanimously. 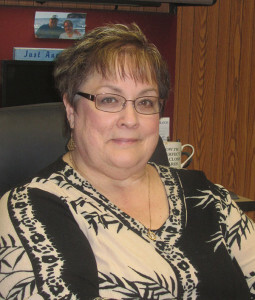 Cedar Springs City clerk Linda Christensen’s last day is June 30. Linda Christensen has been a fixture around Cedar Springs City Hall for just over 22 years. She has worked for five City Managers (not including the current interim manager Barb VanDuren); worked alongside five treasurers/finance officers; three Department of Public Works Directors; several fire chiefs and countless employees, police officers, Mayors and City Councilors. And it will all end next week Friday, July 1—when Christensen finally retires. Prior to working for the City of Cedar Springs, Christensen was a freelance writer for the Advance Newspaper, and then the Grand Rapids Press for 10 years. After that she worked as part time Deputy Clerk in Solon Township. She realized she was going to need some full time employment with her two sons going to off to college, and was hired in March 1994 as both a secretary to Cedar Springs City Manager Frank Walsh, and as deputy clerk. Amber Bailey was then clerk. She was a secretary until Walsh left, and when Bailey left a year later, she became the full time clerk. “I really learned a lot from them. They were both great mentors,” she said. Of all the things she has accomplished over the years, there are a couple things that she is especially proud of. “I was the city’s first certified municipal clerk,” she said, referring to an ongoing educational program relating to the specific duties of city clerks. The other thing has to do with the city records. “Record keeping is important to me; I’m a very detailed person,” she explained. “So I worked on a record retention policy for the city. I got all the minutes indexed from the time the city was incorporated in 1957.” Christensen said that includes minutes from all the City Council, Planning Commission, and Zoning Board of Appeals meetings. And the index is set up on her computer. For Christensen, the best thing about her job is the people she works with. “When my (first) husband died (after 30 years of marriage), work became my salvation. Sometimes I’m sure they didn’t want to see me come in. But they never said anything; they were always supportive. They are like a second family,” she said. She said she learned the most from her early bosses, Amber Bailey and Frank Walsh. “Especially Frank. He has stayed a friend,” she said. Christensen said she’s learned something from all of the City Managers she’s worked for. “You kind of learn to meld your ways with their ways. You pick up the way they do things; even if it’s not the way you would do it. Of course, I’ve never been afraid to speak my mind,” she said with a chuckle. During some of the tough times, Christensen said she has consulted with her son, Benjamin, who is a City Manager in Greenwich, Connecticut. Benjamin actually worked for Cedar Springs before his mom did—both in the front office and on the DPW crew. “He created the city’s first webpage,” she noted. Christensen said she plans to relax this summer, and then possibly look for part time work. She said she might also go back to writing, or do some scrapbooking. She said that the city would temporarily hire someone to take the minutes at the meetings, and handle the upcoming election. A new City Manager will hire the new permanent clerk. What does Christensen have to say to the residents of Cedar Springs? “I think it’s a great community. There is a lot going on in the future, and I am excited for the possibilities. I hope everyone gets engaged, and is comfortable with what is going on, and knows what is going on,” she said. Christensen’s last day on the job is June 30.